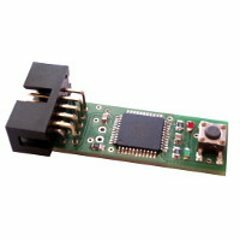 "ISPnub is a simple to use stand alone programmer intended for flashing AVR controllers in the field directly in the target system or during production. 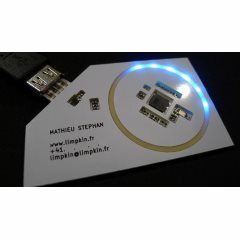 The module has only one button and two leds as user interface." "Libraries are files written in C or C++ which provide sketches with extra functionality, for example the ability to control an LED matrix, read an encoder, connect to a sensor, display, or module, etc. They are very useful to lower the barriers for creating amazing interactive projects and use a wide range of components. Libraries can be created by everyone and shared with the open source community!" "At the end of this month, I’ll be leaving my current job. I therefore thought it’d be a nice occasion to build a new business card for my future interviews. You may remember the first version of my business card made more than one and a half years ago (time flies!). It was basically made of two PCBs soldered together." 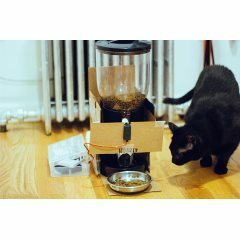 "Is a DIY cat (or dog, or human) feeder controlled over the web (though not over the public Internet for now). There are two different feeding methods: instant feeding with the click of a button, or scheduled feedings (using a command scheduler like cron)." "Remote garage door openers are great but there were times I need access to the garage and did not have the remote with me. 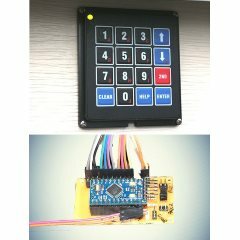 I therefore designed a simple keypad with 4 digit access codes to allow myself, my family and friends to gain quick access to the garage when a remote is not at hand." "I built this Arduino radar project, where I control the brightness of an LED with my breath. In this tutorial, I will show you exactly how to do it. 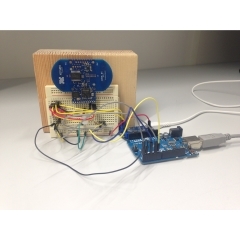 It was an experiment to get the XeThru radar to work with Arduino. I plan to expand on this later, and build more useful applications. 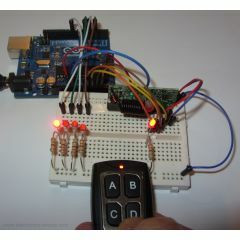 And I will share with you how to connect the hardware, and how to create the Arduino code." "Basically, the system uses an accelerometer to measure g-force and a SD card to store the data. 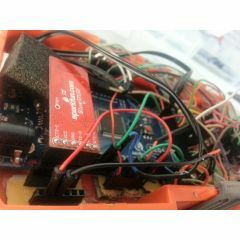 An Arduino UNO is used to process the data coming from the accelerometer and save it on to a SD card. 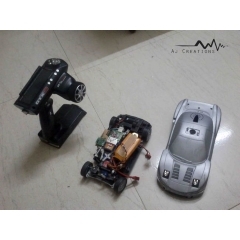 The system was originally developed for setup tuning and performance optimization in RC cars." "OpenDrop is a new design for an open source digital microfludics platform for research purposes. The device uses recent electro-wetting technology to control small droplets of liquids. 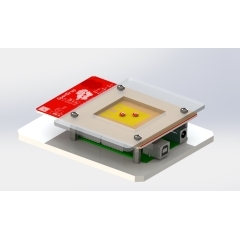 Potential applications are lab on a chip devices for automating processes of digital biology." "Ditch the key FOB and use your mobile phone as a passive key to access and authorize your car. There are many challenges with such a system but I believe this development is unavoidable. Whilst my prototype is certainly not the most elegant, it does proof a basic point, which is that dedicated physical car keys are a thing of the past." 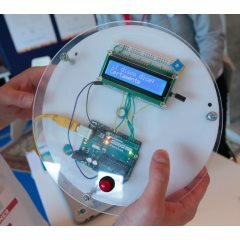 "Our plcLib software turns your Arduino into a simple Programmable Logic Controller (PLC), allowing you to develop ‘PLC-style’ control-oriented software applications."